Today's Giveaway theme is the "DREAM CLASSROOM"!! The Applicicous teachers has organized up to $180 in prizes for today!! How's that for the mid-week blues??!! Alright... do you aspire to have a "dream classroom?" Like the kind where everything looks pin-worthy at every corner and you are perfectly organized with adorable matching teacher planners and binders.... #ihavethesamedream. But I am here to tell you, we can help you get there! Today's prize pack includes prizes from two of my favorite teacher creators! Yeah... you're reading that right. 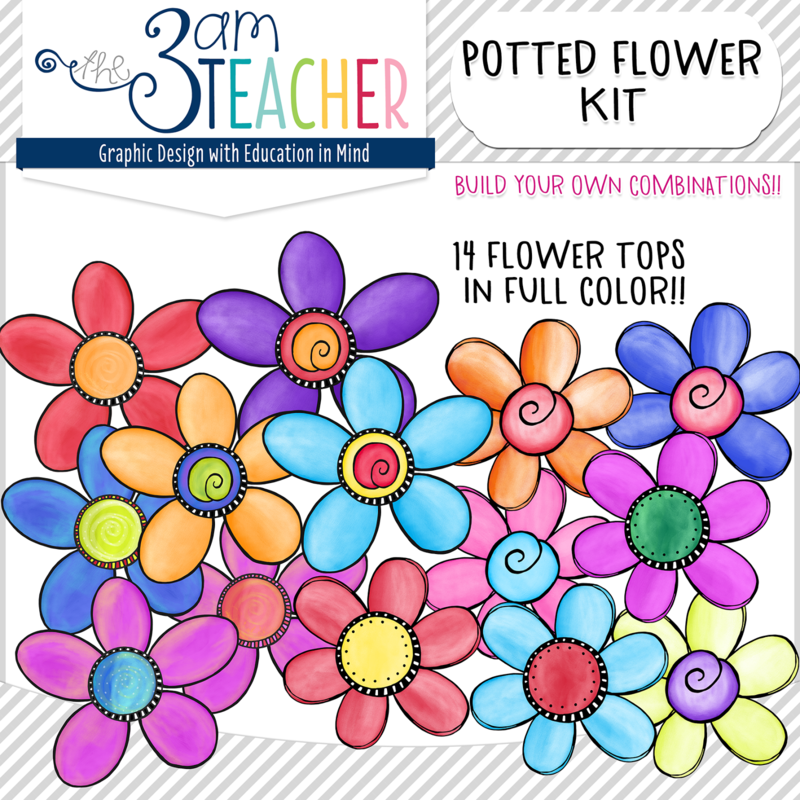 You'll get a chance to win an entire classroom decor set of your choice!! This would be perfect for decorating your classrooms for next year!! Now, in addition to having a classroom that looks fabulous, you'll also be COMPLETELY organized Thanks to April from A Modern Teacher. 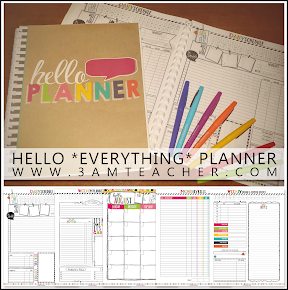 April is giving away 3 teacher planners (1 for you and 2 for your teacher friends!) 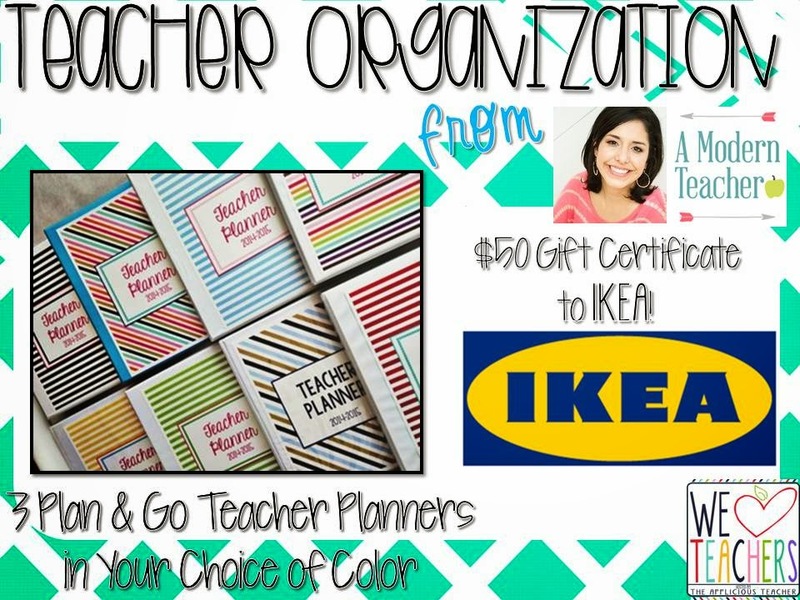 in your choice of style AND a $50 IKEA gift card so you can buy all the organizational bins you'll need to complete your classroom overhaul! So once you pick out your classroom decor set, you can head over to April's store to find the perfectly matching teacher planner! Enter the rafflecopter below if you want a chance to win the "Dream Classroom"!!! Tomorrow is the LAST day of the TPT sale!!! Click the image below to grab some goodies before the sale ends!! I have a few special items that are marked down an additional 50% off. With the TpT code and 20% discount, you get a total of 78% off on these hidden sets!! (They might be in the featured items list.. just sayin'...haha). Make sure to enter the code: TPTXO at checkout to get that extra 10% off on your purchase at TpT!! 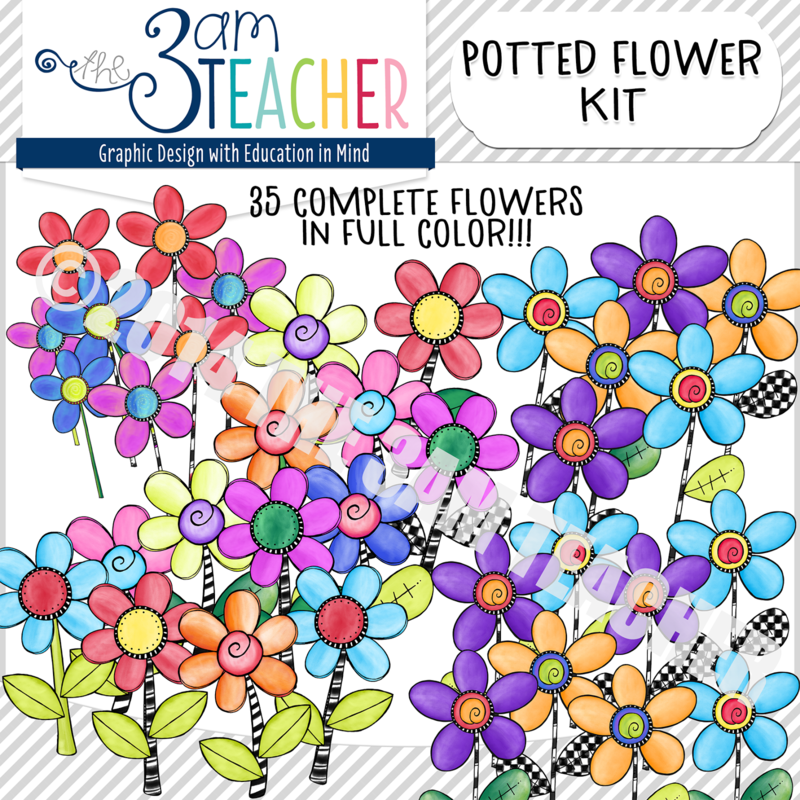 Here is my newest set that I have discounted on TpT as well as my Website!! I just can't get over how stinkin' cute the images turned out!! This set includes 91 custom graphics!! 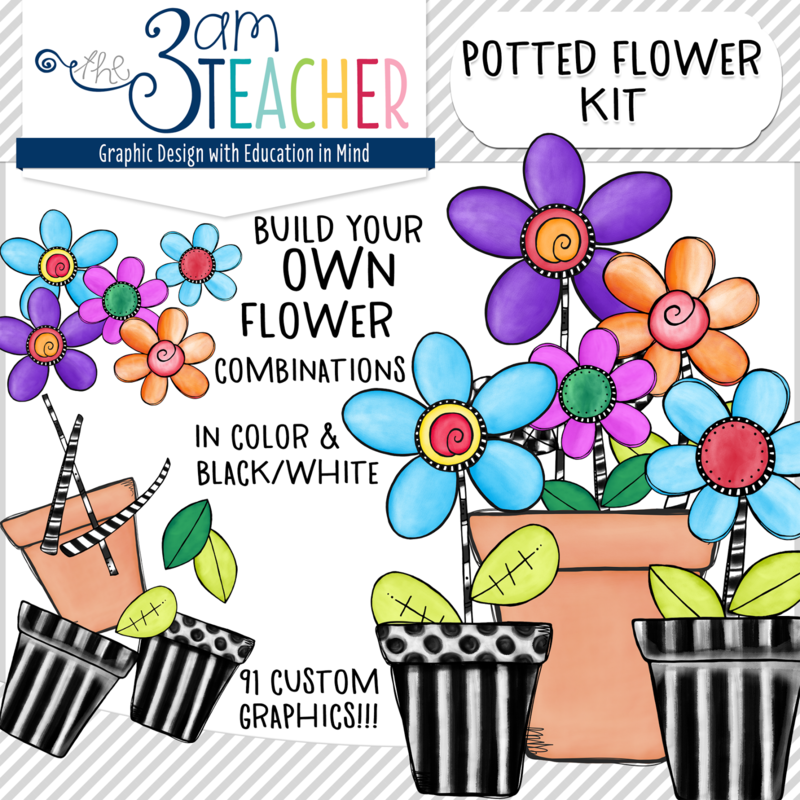 I created this set to allow you to use the pre-designed colored flowers OR... use the colored and/or black&white images to create your very own flower combinations!! 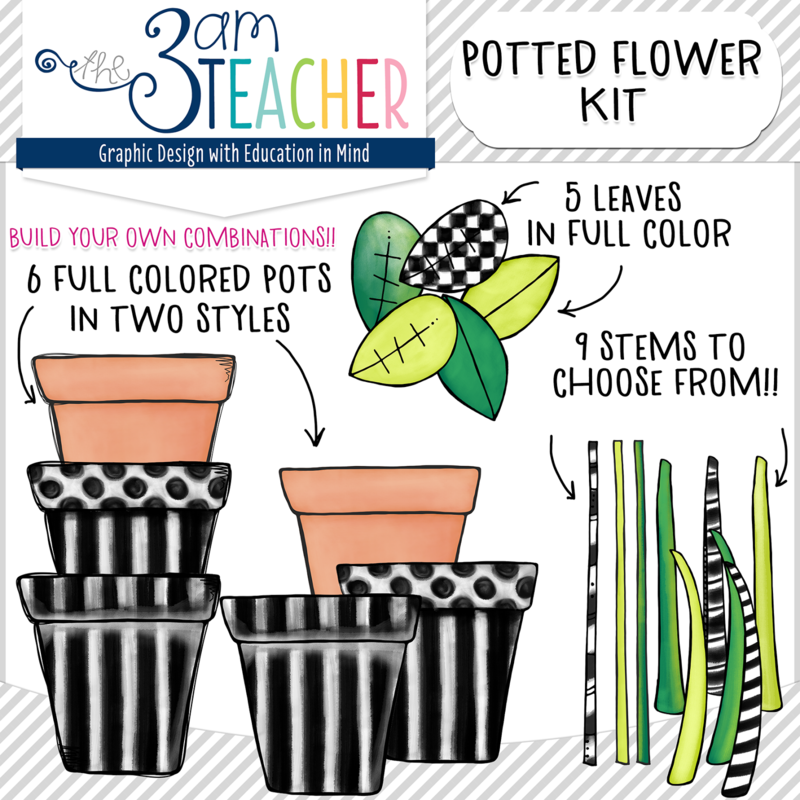 Mix and match them and create very stylish doodle flower pots!! These are perfect to use for last minute Mother's Day cards and crafts!! Thank you again for all that you do and for stopping by!! I have worked so hard the past few years to clean up the look of my room and really focus on content decor vs cute decorations. However, this year they're painting our rooms, so that gives me a chance to try a new look. Would love to win! Nice!! You'll have a clean slate to work with! I'm a 2nd year teacher, going on my 3rd! My dream classroom is bright and colorful. It would have tons of room for organizing a HUGE classroom library (I have so many books but not enough room to organize them all). It would also have beautiful costume painted walls and a lot of windows to let in sunlight. Tons of pillows and floor seating, and nice lush carpets for the kids to read on would everywhere. Hopefully next year, I'll get a job at a school with bigger classrooms and more freedom to decorate as we see fit. Currently, we aren't allowed to have things hanging from the ceilings, we can't paint, etc. But I make the best of it by creating bright, fun, colorful bulletin boards, having bright anchor charts, and decorating the areas that I am allowed to. I am not sure what costume painted walls are, but it sounds fantastic!! I never was allowed to hang things from my ceilings when I taught either. When the A/C kicked on in the night, the moving parts would sound the school alarms.. it was also a fire hazard in our state. I hope you get that big classroom with tons of storage space! It definitely makes keeping things organized so much easier!! Good luck!! Oh my goodness, this would make my school-year! I love all the themed Schoolgirl Style accessories! The binders are too cute and perfect for Miss Never Can Be Too Organized (That's me!). IKEA! Who doesn't love IKEA & their great prices! I am just envisioning my "revamped" classroom now! I can't wait to see who wins all these giveaways!! There is some pretty awesome stuff here!!! The planner would be very helpful because I'll be teaching three different sections next year, and the decorations would help because I am getting a new classroom next year and need to start fresh! 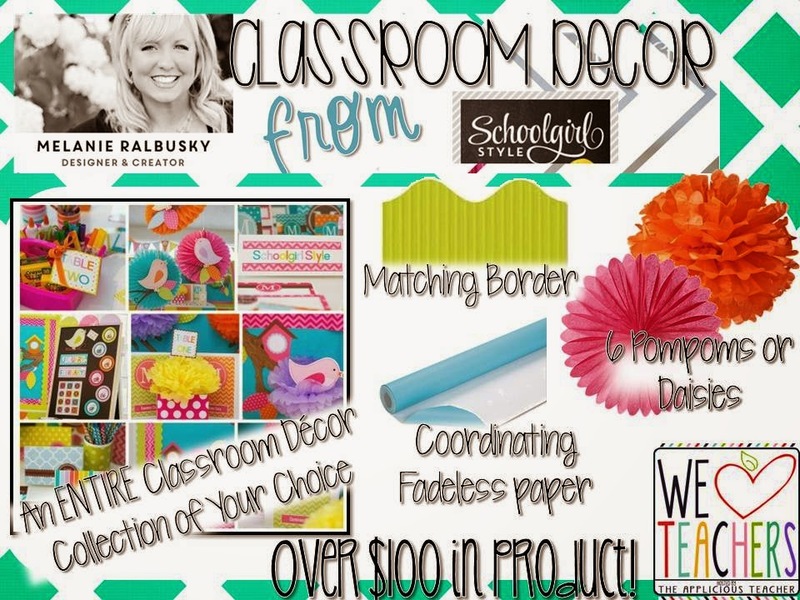 My dream classroom…anything completely done by Melanie!! :) Lots of organization, fun colors, theme carried throughout! Oh how nice it would be!! What a treat! Would love to win! I finally have a permanent classroom and could use the decor! Fantastic giveaway! Decor and so much more. Thanks for the chance to win! Great giveaway! I've been working on the decor in my room all year- natural elements and getting rid of the plastic. My dream would be to completely unclutter it though, to make packing it up at the end of every year easier! My ideal classroom would be spacious, organized with a spot for everything, and desks that did not migrate across the floor during the day. It would be equipped with 1:1 iPads and a classroom library filled with all the books on mine and my students' wishlist. And, it would be cute, bright, and colorful! Bright, clean, colorful, yet still calming, and organized! My room is super clean, cute, organized and EFFICIENT!